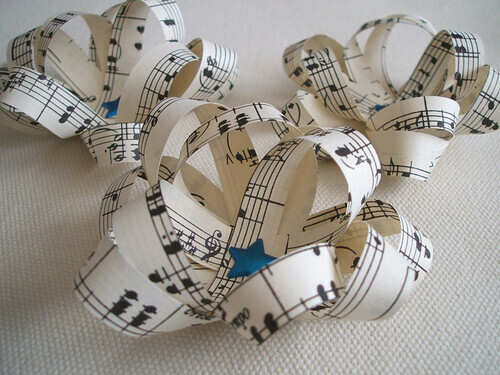 It's a great way to make some pretty additions to your presents this Christmas and because they use recycled paper, they are ecofriendly and thrifty too! These are my first attempt, I'm pretty pleased with how they turned out. I think they differ from the ones on the tutorial as I used thinner strips and made the loops looser. 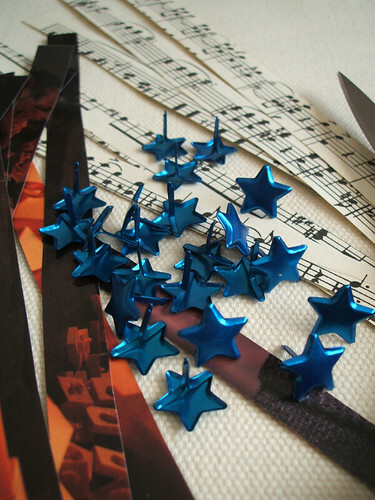 All you need is some scissors, paper of your choice and shiny brads to hold them together. 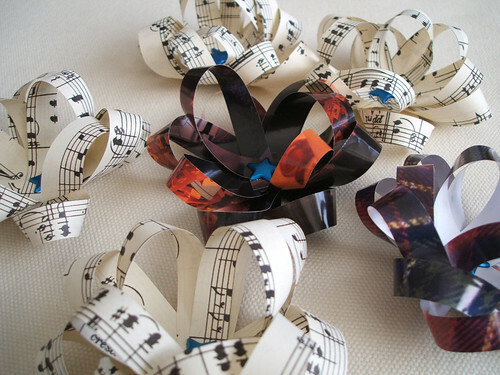 I used some sheets of music from a vintage book and the coloured ones are made from the glossy outer pages of magazines. I looked for adverts that had lots of color, but virtually no text. I'm going to have another attempt and try and make some exactly like the tutorial ones, I think I need to cut the strips thicker! These are simple to make and a good relaxing-in-front-of-the-television activity, but be warned, they are very addictive once you start making them! 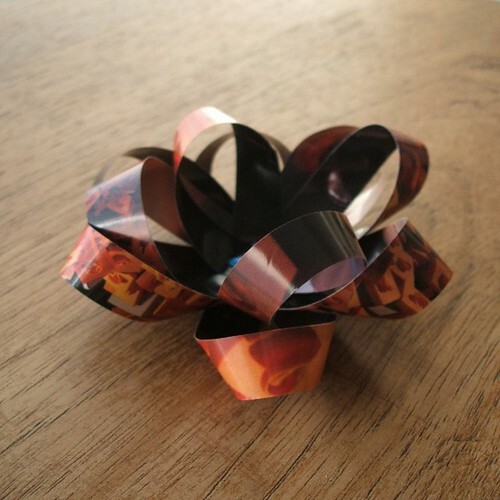 Thanks for sharing--I'm always looking for new and creative recycling ideas! This is so awesome! I really like this idea and will do them for birthdays, holidays, etc. Thanks for sharing it! These are beautiful i will definately remember that one for next year!! By the way congratulations on being a featured seller on Folksy! And something that can be done all year round for all manner of gifts. 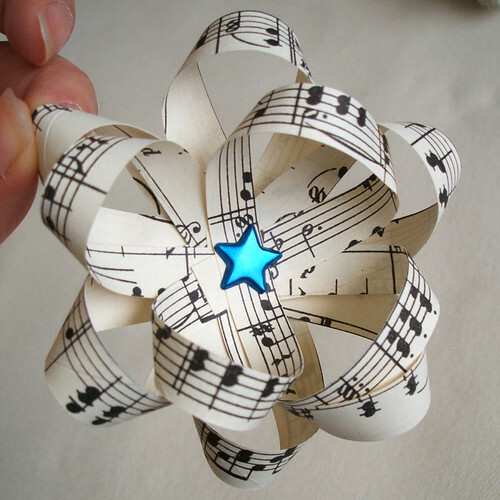 That was a great paper gift bows thank you so much for the tutorial good that you shared this. Keep posting!